You didn't need to pass geometry to know that geometric prints are hot this spring! It's on the runways, in the stores... but you don't need to break the bank to wear this trend. Le Fashion Truck's store on wheels has what you need and at a great price! 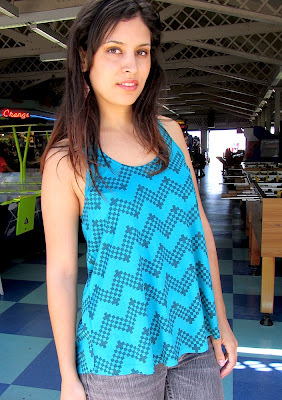 If you're not the Los Angeles area, the online store is stocked with this bright blue geometric print tank and it's only $18! Look out for more new arrivals coming soon! !